Lynn, Ma. 5-17-17. 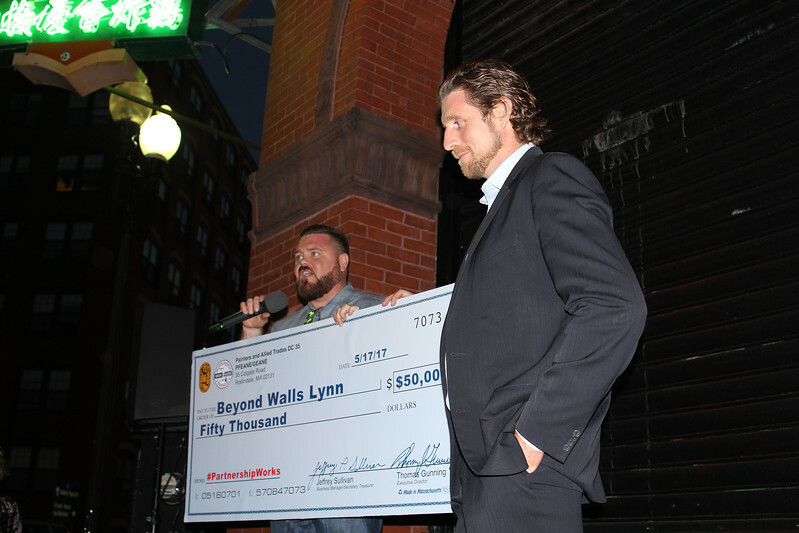 John Doherty, Director of Communications Painters & Allied Trades DC 35, left, presents a check for fifty thousand dollars to Al Wilson, right, founder and Executive Director of Beyond Walls at the lighting ceremony at the Prime Manufacturing Co. at 545 Washington Street.